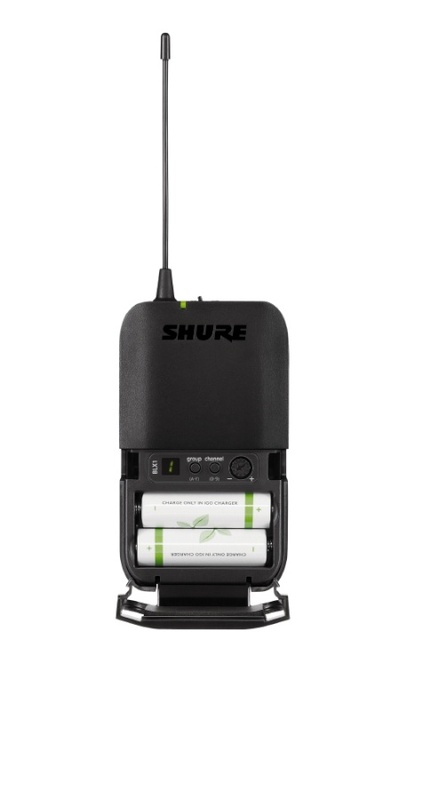 The Shure BLX14's included BLX1 bodypack transmitter is perfect for guitar players. 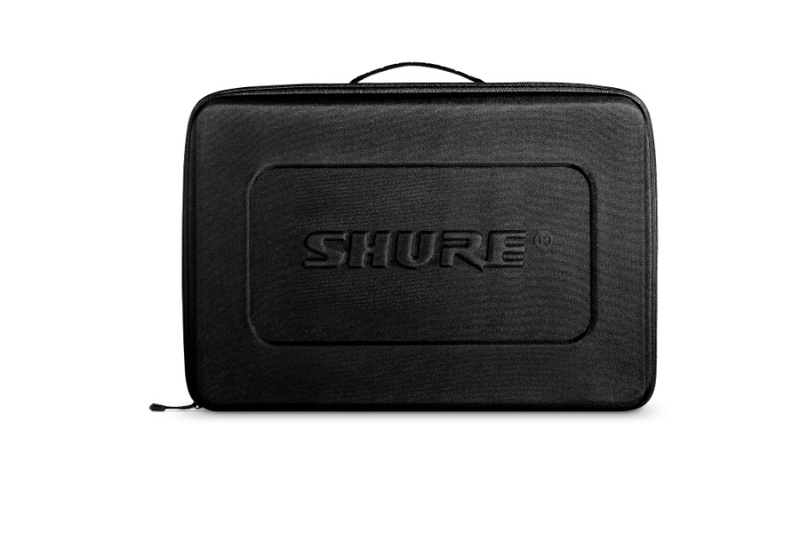 It's lightweight and slim design is great for just putting in your back pocket, attaching to your belt or pants, or even attaching to your guitar's strap. It uses 2 x AA batteries that get up to a whopping 14 hours of battery life when using alkaline batteries. A simple toggle switch on the top of the transmitter turns it on and off. 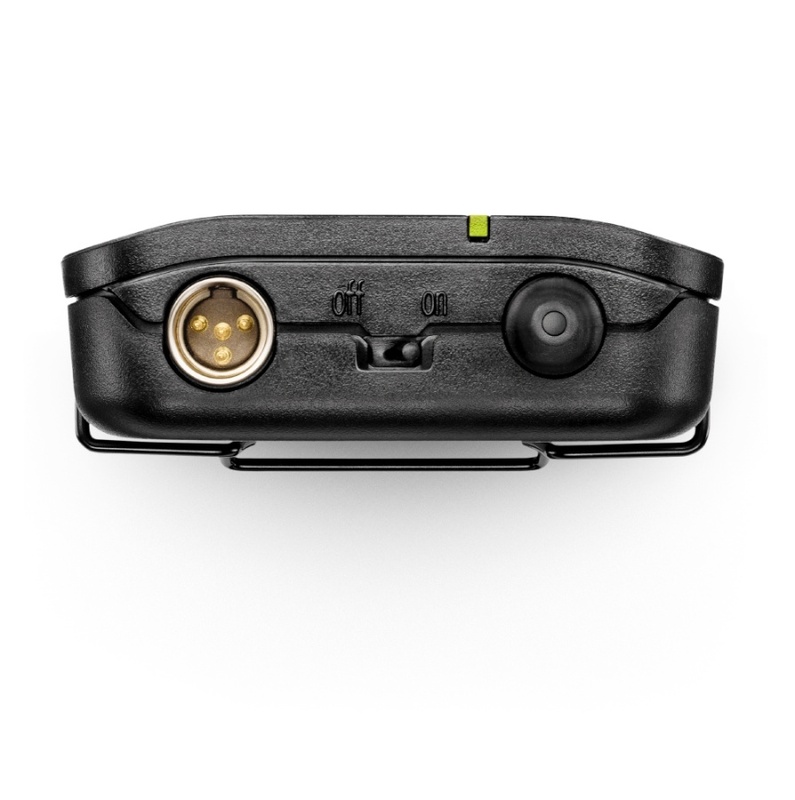 Open the battery compartment and set the transmitter to the same group and channel as the receiver and you're ready to rock!